Software development workflows are not a one size fits all thing — different teams and companies have vastly different needs, but we all need to get insights into what’s happening at a glance. We’ve heard your requests and are happy to share that we’ve added Custom Epic Workflows to Clubhouse so your team can improve communication and planning. Custom Epic states allow you to add additional steps to your Epic workflow, beyond the standard “To Do,” “In Progress,” and “Done” states. Custom Epic Workflows can then be used to communicate the status of an Epic on a more granular level. The Epics page table view can be grouped by Epic State. 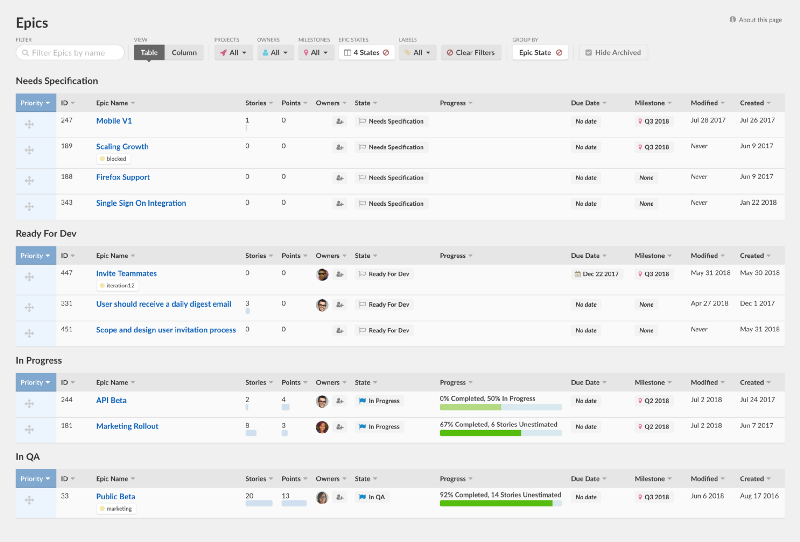 Custom Epic Workflow states make it easier to communicate the progression of your team’s work from idea to done, which could now look something like this: Inbox > Discovery > Prioritized > In Development > In QA > Documentation > Marketing > Done. QA teams, for example, can view all of your epics and their status at a glance during the ‘In QA’ or ‘Testing’ phase to build a better feedback loop and ensure no bugs are missed before features make it out in the world. The three hard-coded states didn’t always accurately reflect the reality of your processes; so we decided to open the workflow to your customization. This new functionality will continue to help open the development cycle up beyond just your engineering team to include the entire company. 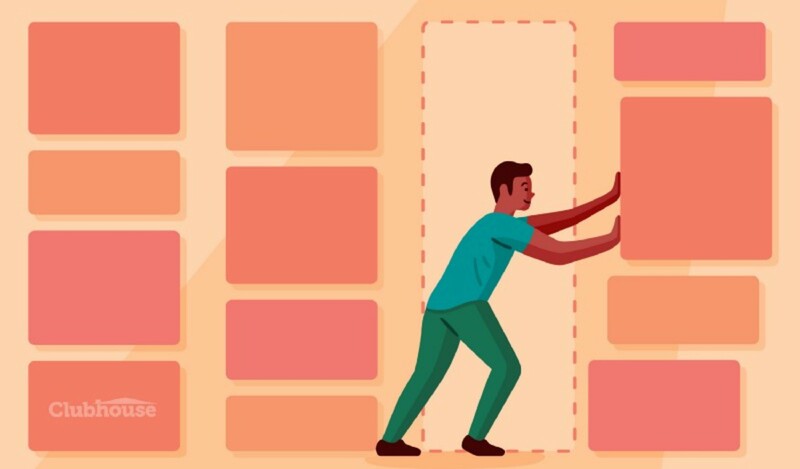 For large projects or cross-discipline teams, Custom Epic Workflows are great for keeping everyone on the same page and can help everyone understand what’s blocking work from getting out into the world. When you visit the Milestones page, you’ll be able to quickly understand work across those big projects, in a single view. To get started creating your custom Epic Workflow, head to your Clubhouse account, click the Settings Gear, then Workflows and select the Epics tab. Once you’re there, you’ll see a new option to create any custom state and define your own name, the type of status it is, and a description. That’s it — you’re ready to go! For more information about custom epic workflows and states, visit our documentation.